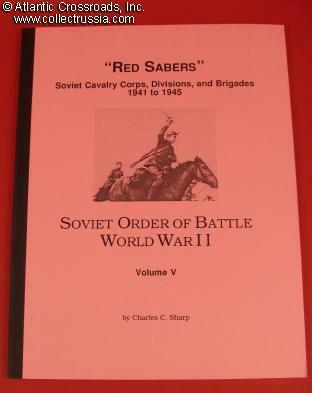 "Soviet Order of Battle, WW 2, Volume 5: Red Sabers, Soviet Cavalry Corps, Divisions and Independent Brigades, 1941 - 1945. "Soviet Order of Battle, WW 2, Volume 5: Red Sabers, Soviet Cavalry Corps, Divisions and Independent Brigades, 1941 - 1945." , by Charles Sharp.